Winter is already here and all of us try to think out ways to keep our houses warmer during winters while also saving a few bucks. The projected budget for heating your home (at the places where heating is required) during this winter is almost $2,200 which is definitely not within everyone’s budget range. Aside from saving the money, it is quite difficult to keep your home cozy and warm, especially if has been built in older times and does not possess a good insulation system. Therefore, I provide you with some of the very useful tips for keeping your place warm, which will not only help you to save money, but will also help you to attain coziness throughout the winter season. If you are among the select few who have transformed their lives into tiny houses and down-sized, I suppose you could simply hook the truck on and move to Florida for the winter. That could solve a lot of other problems. But logistically, if you have kids in school, or family to take care of, or a job you can't leave, and need to make money, this may not be a good solution for you. 1. Install a programmed thermostat: this will aid in keeping your bills low while increasing your efficiency. This programmed thermostat keeps you away from the hassle of manually adjusting the thermostat while you leave the house or come back to your place. Following are some of the recommended thermostat temperatures which you can adjust while you leave the house for a day or for a few days of the week; From 6:00 AM till 9:00 AM: 68 Degrees – From 9:00 AM till 5:30 PM:60 Degrees. From 5:30 PM till 11:00 PM:68 Degrees. From 11:00 PM till 6:00 AM: 60 Degrees.The recommended temperature seems to be a bit chilly but its up to you to adjust it according to your level of comfort with the warmth. But you should keep in mind that various researches indicate that the bit cooler temperatures range is helpful in the promotion of better sleeping and might even help in the improvement of your metabolism rate. 2. Allow the sunlight in during the daytime: even if the day is colder, when the sun is up, allow the warmth of natural sunlight to come in your house. Before you leave the house, move the curtains of those rooms or parts of the house where the sunlight directly comes in. 3. At night, keep the curtains and blinds shut: once, the sun sets, keep all the curtains and drapes properly closed to prevent the escape of heat from the house. In fact, try to make use of insulating curtains during the winter season if you reside in relatively colder areas. You can even try placing the temporary curtains or anything which cause insulating effect such as rugs, sheets, etc. on the doors or windows to prevent heat loss. 4. Be cautious about the fireplaces that burn wood: this is one of the major sources of letting in the cold air while the fireplace is not in use. When you light the fire, it’s warm and cozy around the place where fire is being lit while in other places the cold air is pulled down. 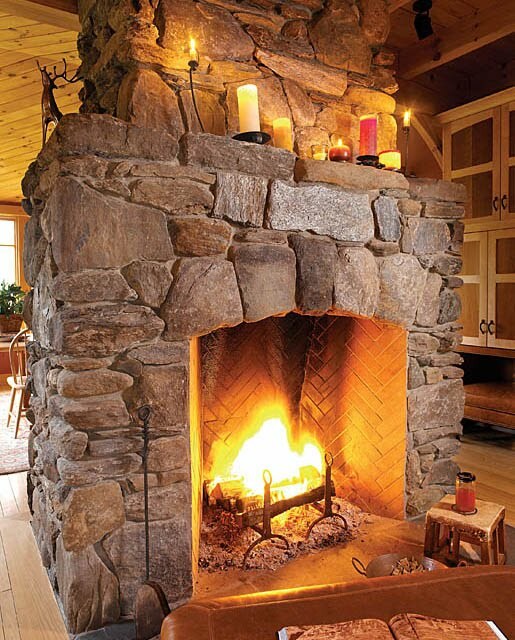 You can place the glass in front of your fireplace in order to prevent the escape of hot air when it is not in use. Also, always keep in mind to close the flue when you are not using the fireplace otherwise it will cause the cold air to let in.